Every homeowner knows that ceiling fans can help with energy efficiency and create a cooler climate inside their house. When Nashville summers arrive, your fans might be running all day and night, but when was the last time you truly noticed them? If your fans are outdated or undersized, they might be using more energy than they should and may not be helping keep your home as cool as it could be. 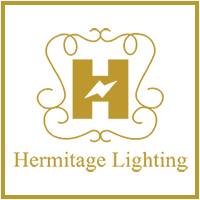 They may also no longer match the light fixtures and decor in the room, and at Hermitage Lighting Gallery, we can help you find new models that look great and run efficiently. 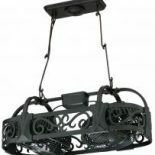 Your living room ceiling fan is most likely in the middle of the room, and if it has a light fixture, it provides the general illumination for the space. 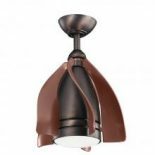 The fan’s main purpose is to circulate air, but if it looks out of place after you’ve redecorated or redesigned the room, it might be time for an upgrade. 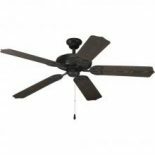 We have a fantastic selection of ceiling fans for your living room, bedroom, and more. 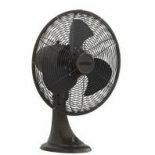 Your fan can be part of the room’s design, or even act as the focal point! Ceiling fans don’t have to be limited to inside your home, and Hermitage has an extensive selection of outdoor fan options. If you have a covered deck or pergola over your patio, an outdoor ceiling fan can keep the space cool and comfortable no matter what the temperature is. If you enjoy entertaining during the summer, make sure your outdoor seating area has proper airflow by installing a new ceiling fan. If you’re shopping for new fans, or you want to replace the outdated blades on your home’s current fans, visit our showroom today. Our lighting and design experts can help you choose the best options and help you make your home more appealing and energy efficient!